~ – = For the collective consciousness of the People do not consent for celebrating= honoring such entity as Christopher Columbus, a murderer along with the few that are with covert terrorism in the country for the united states of America, and or the entire American Continent. ~ – = For the people do not consent: are eliminating the celebration= remembrance of: for Christopher Columbus on October 9th of each year, and starting on October 9th of 2017. 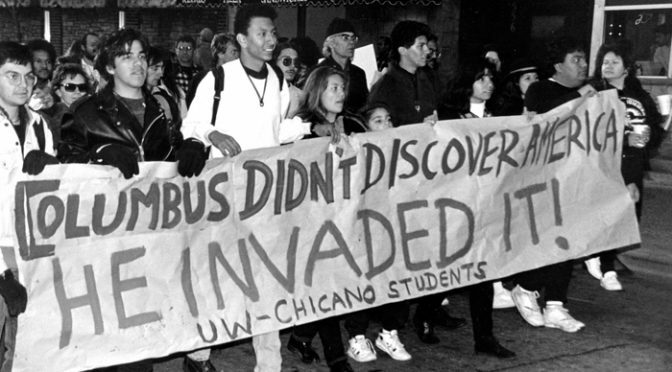 For Columbus did Not discover America, he invaded It! 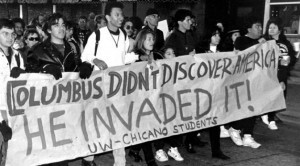 ~ – = For let the memory of terrorist Christopher Columbus be for ever erased from the American people, = the people abolished the observance Day for Christopher Columbus in perpetuity. Video: Watch the atrocities done by the US corporation, = the so call federal government that the facts are, is a terrorist organization. FOR BE destroy. ~ The people have spoken. So be it be it so.